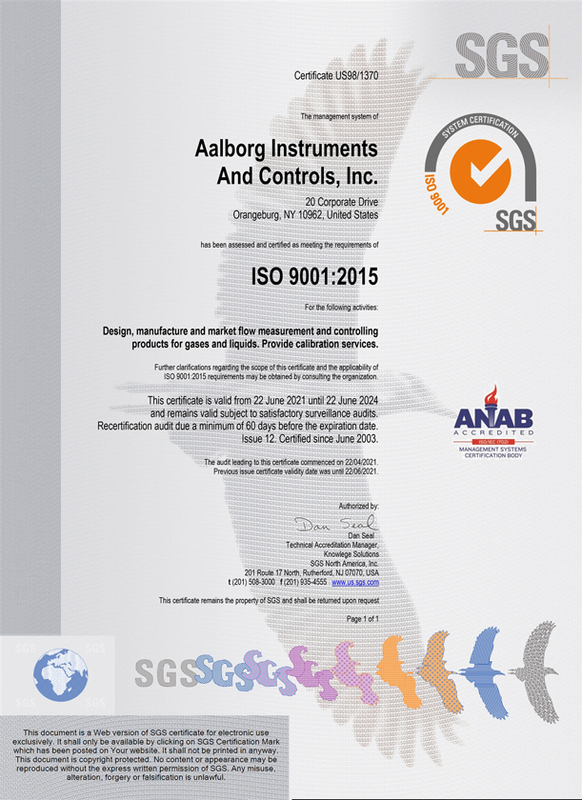 Aalborg Instruments has been ISO 9001 certified since April of 1995. We are very proud of the design features and the exceptionally high quality for which our products have been known since 1972. It is our policy that through strict enforcement of exacting manufacturing standards the Aalborg brand name continues to be associated with a reputation of high quality and reliability. Our products are backed by meticulous innovative engineering combined with efficient manufacturing practices and a highly skilled work force guaranteeing total customer satisfaction.